New Democrats made history when they selected Audrey McLaughlin as their leader, as she became the first woman to lead a federal party in Canada. In less than three years, Audrey McLaughlin went from being a rookie MP to the leader of the federal New Democrats. 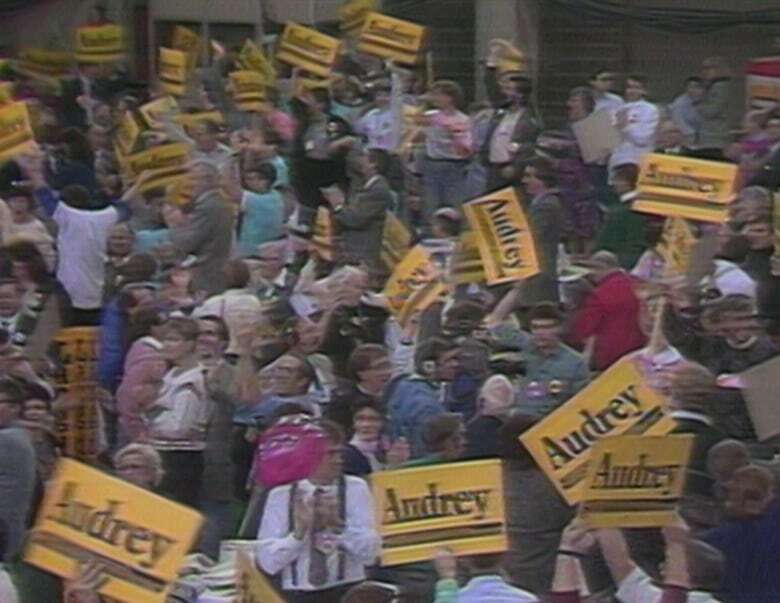 Her rapid rise to the top was also historic, as McLaughlin became the first woman to lead a national party in Canada, when she won the leadership on Dec. 2, 1989. "I'm just ready to roar and take it on," McLaughlin told reporters, after winning the top job with the New Democrats. Her victory came on the fourth round of ballots that were cast at the NDP leadership convention, which was held in Winnipeg. "Her jubilant supporters danced in the aisles and all over the convention hall, giddy after five-and-a-half hours of balloting and exhaustive backroom manoeuvring to deliver the vote," the CBC's Anna Maria Tremonti reported to viewers of The National. McLaughlin's main competition had been Dave Barrett, the MP for Esquimalt—​Juan de Fuca and the former premier of British Columbia. But McLaughlin had been considered the front-runner from the outset and had led from the first ballot. On the fourth-round ballot, McLaughlin had the support of 1,316 delegates, giving her a 244-vote margin of victory over Barrett's 1,072 votes. As Tremonti told viewers, Barrett and McLaughlin had "never shown any public animosity," but their supporters had been divided. When McLaughlin's victory was clear, Barrett endorsed her leadership to the people at the convention. "I want to tell the people of Canada that we are a united party," said Barrett. McLaughlin said she had not run a campaign on the basis of her gender. But she believed her win could inspire others to pursue politics. "I hope that what's happened here today will really give a message to a lot of Canadians — women, but also others who feel they've kind of been left out, you know, of political things," she told CBC News. "Times are changing. So is politics." 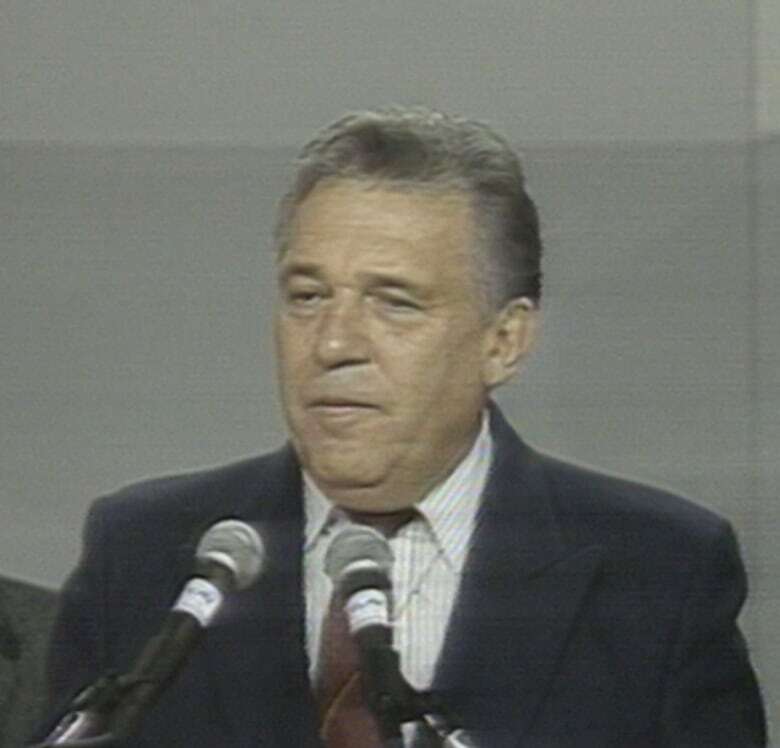 McLaughlin had been elected to Parliament as the MP for Yukon in a byelection the summer of 1987. The seat had become vacant when Erik Nielsen, a former Tory cabinet minister, had stepped down from Parliament. Prior to Nielsen's departure, he had held the seat for the Tories for nearly 30 years. When McLaughlin won the ensuing byelection, she became the first-ever New Democrat elected in Yukon. McLaughlin would stay in Parliament until 1997. 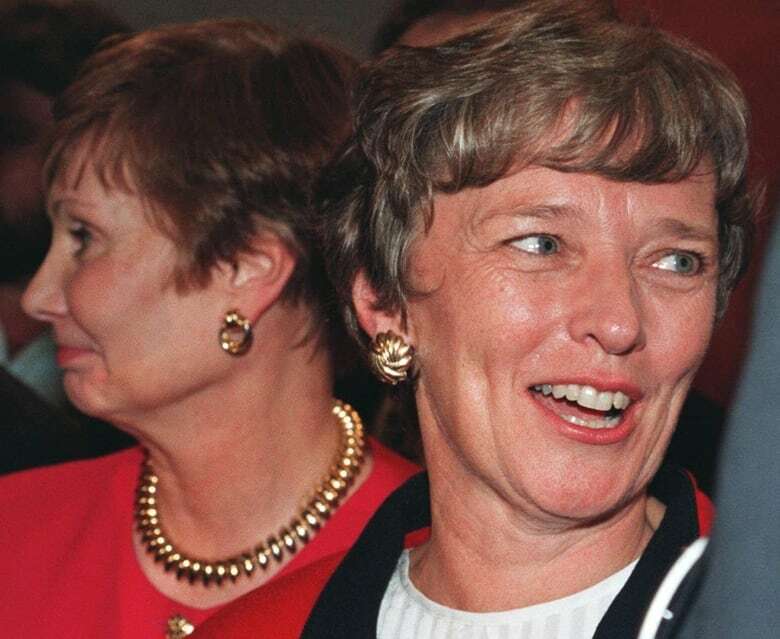 But she would eventually resign the leadership and see another woman, Alexa McDonough, succeed her as leader in 1995.